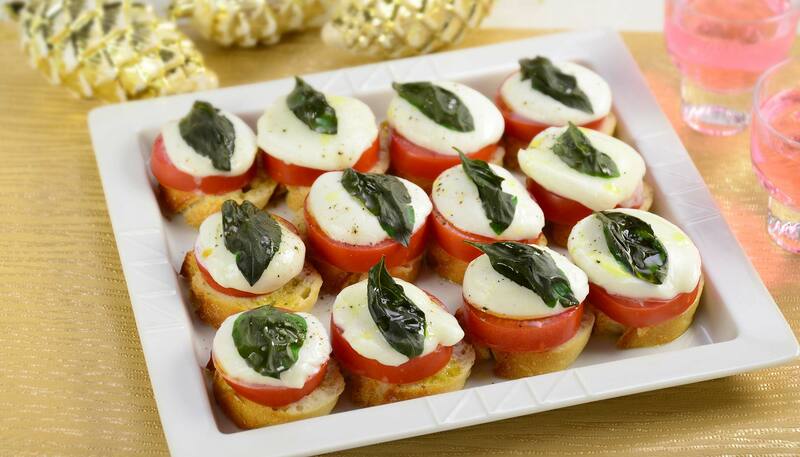 Toasted baguette with garlic and olive oil is topped with tomato, mozzarella cheese and basil leaf. 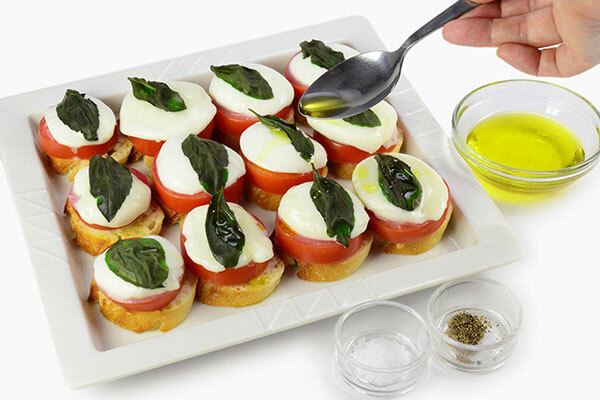 The sharp taste of white wine vinegar completes this colorful dish! Lightly toast baguette slices. 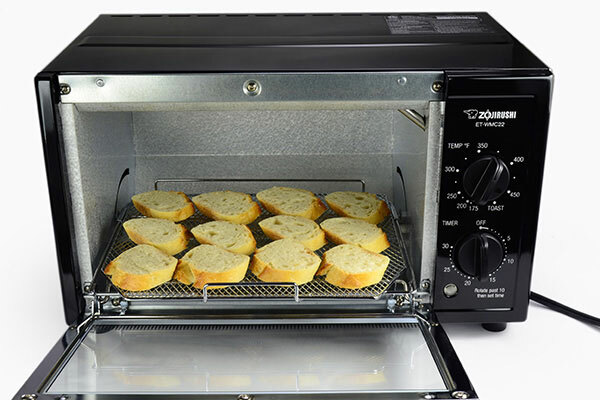 Place baguette slices in the Toaster Oven and set to TOAST for 1 minute. Toast until lightly browned. 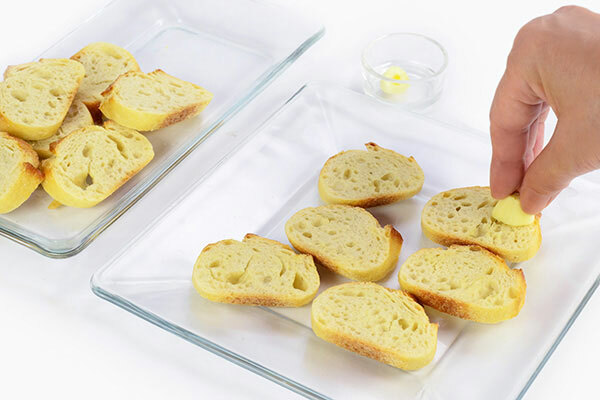 Cut garlic clove in half and smudge one side of each toasted baguette. Line the baking tray of Toaster Oven with aluminum foil. 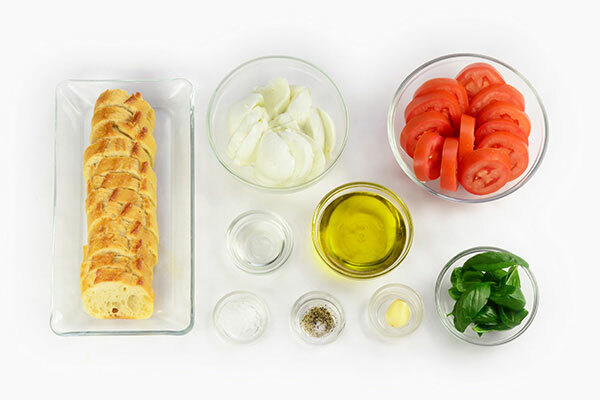 Brush olive oil over smudged sides and place the slices on the lined baking tray. Reserve remaining oil for the sauce. 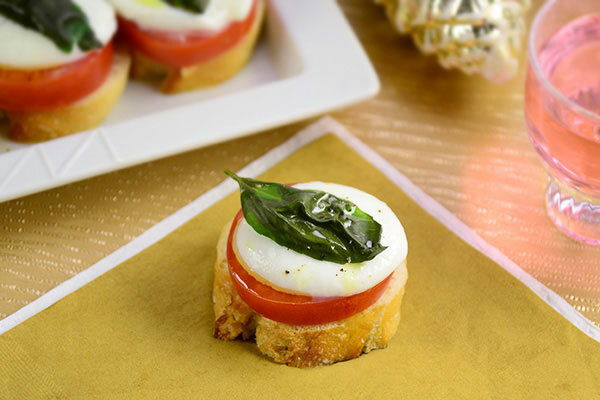 Layer tomato slice, mozzarella slice and basil leaf on each slice. 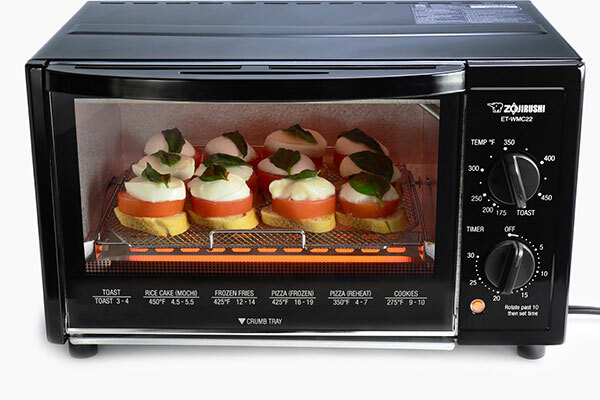 Place baking tray in the Toaster Oven and set to TOAST for 3 to 5 minutes. Transfer to a serving plate. 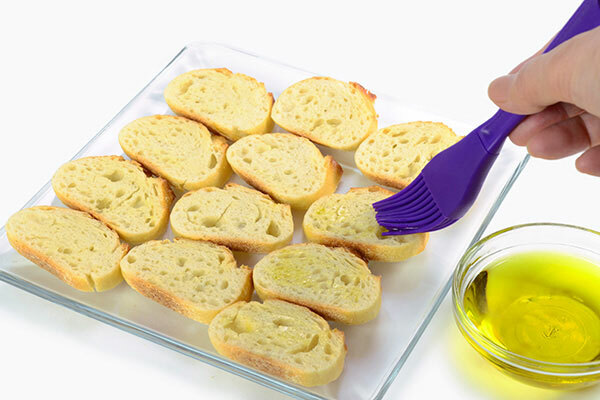 Mix white wine vinegar with remaining olive oil from step 3, and drizzle over the toasts. Sprinkle salt and pepper.